POET CEO Jeff Broin receives an honorary doctorate from South Dakota State University President Barry Dunn during the commencement ceremony in Brookings, S.D. 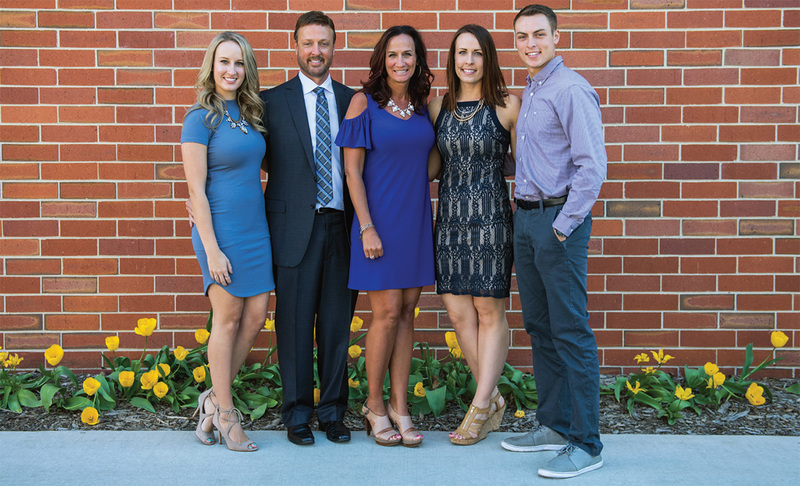 POET Founder and CEO Jeff Broin received an honorary doctorate of public service from South Dakota State University (SDSU) during the spring commencement ceremony in May. The honorary degree is "the highest honor conferred by the Board of Regents and University and is reserved for only those candidates whose extraordinary accomplishments have benefitted society," according to SDSU’s guidelines for granting honorary degrees. "Thirty years ago, I made a decision to move to Scotland, S.D., a place I had never been, and become General Manager of a nearly bankrupt ethanol plant. My dad put his farm on the line for this project, and I knew failure wasn’t an option," Broin said. "Our will, determination and faith were tested daily, but it was those values that helped get POET to where it is today. I am incredibly humbled and honored by this recognition and will forever treasure this moment." Broin was one of two individuals selected to receive the honorary doctorate. Sen. Tim Johnson also received an honorary doctorate of public service. Jeff and Tammie Broin with their children Miranda, Alyssa and Austin. "Mr. Broin epitomizes SDSU’s role to prepare people to innovate, to do things in new ways that add real value to the lives and well-being of our communities," said Dr. Daniel Scholl, Interim Dean of the SDSU College of Agriculture and Biological Sciences. "It is a privilege for SDSU to recognize Jeff’s contributions by this honorary doctorate degree." During the ag crisis of the 1980s when Jeff Broin was a teenager, his father was concerned with farmland being set aside by the government and crop subsidies serving as the main source of farm income. The family turned to a new ag opportunity for revenue and built a small-scale ethanol plant on their farm near Kenyon, Minn. This would lead to the purchase of a bankrupt plant in Scotland, S.D., that would set a foundation for the future. Jeff Broin led the growth of that small plant in Scotland into the world’s largest producer of biofuels. The 28 POET plants, located across seven states, have a combined annual production capacity of 1.8 billion gallons of biofuels and 10 billion pounds of co-products that are marketed worldwide. He is a recognized innovator, entrepreneur, agriculturalist, business leader, philanthropist, spokesperson and national advocate for the biofuels industry. Broin has played a leadership role in an industry that brings prosperity, jobs and cleaner-burning, homegrown fuel to America. Biofuels have created a market for agricultural products that is critical to rural America. POET purchases 5 percent of the U.S. corn crop from more than 30,000 farmers, and each biorefinery contributes an average of $200 million annually to its local area. The development of the biofuels industry has increased demand for the growing yields of South Dakota and Midwest cornfields, which has benefitted grain farmers and stimulated economic growth for our state and nation. Much of the success comes from POET’s vertically integrated business system that includes multiple production plants and corporate entities. These entities perform project development, plant design and construction, plant management, research and development, and marketing. POET is also pioneering cellulosic bioethanol at Project LIBERTY in Emmetsburg, Iowa. It is one of the first plants of its kind, which converts corn waste products, like leaves, cobs and husks, into cellulosic biofuels. 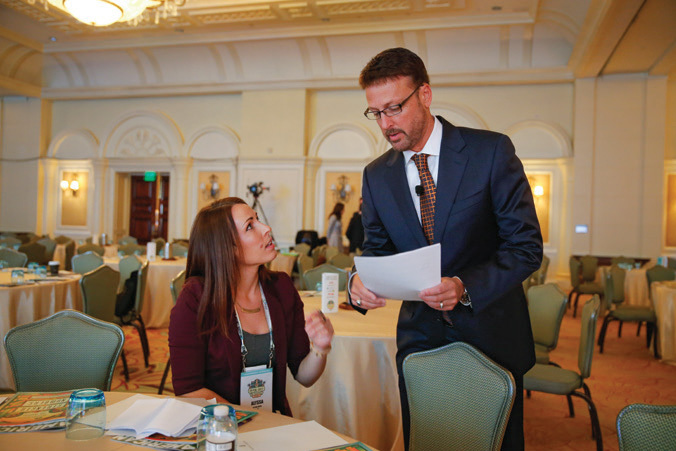 Jeff Broin talks with his daughter Alyssa Broin during Growth Energy’s 2017 Executive Leadership Conference in Florida. Broin’s vision extends beyond business. He formed the POET Foundation to improve the lives of others, especially children and agriculture. Supported U.S. projects include LifeLight, Children’s Home Society, Global Health Ministries, Make-A-Wish, 4-H and FFA. 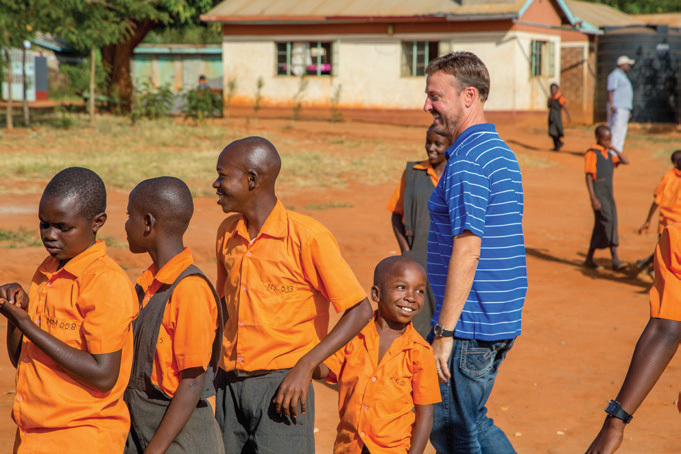 Jeff Broin spends time with schoolchildren in January 2017 at the Kakuswi School for the Deaf, located near Tawa, Kenya. In 2012, Jeff Broin, his wife Tammie and their children helped renovate the school, which houses 60-plus children with hearing disabilities. During the 2017 visit, they saw how the school has doubled in size over the past few years. In 2011, he and his family founded Seeds of Change with the goal of transforming education, agricultural and environmental conditions worldwide. Current projects include Mission Greenfield, which spreads agriculture technology by working with 80,000 farmers in Kenya; Mission Greenhouse, a multi-year project to develop a school for disadvantaged girls in Kenya; and Mission Breathe, a project focused in Kenya and Haiti to transition from solid cooking fuels (wood and charcoal) to clean liquid renewable biofuels; and other projects such as potable water development and health and nutrition education in Africa. 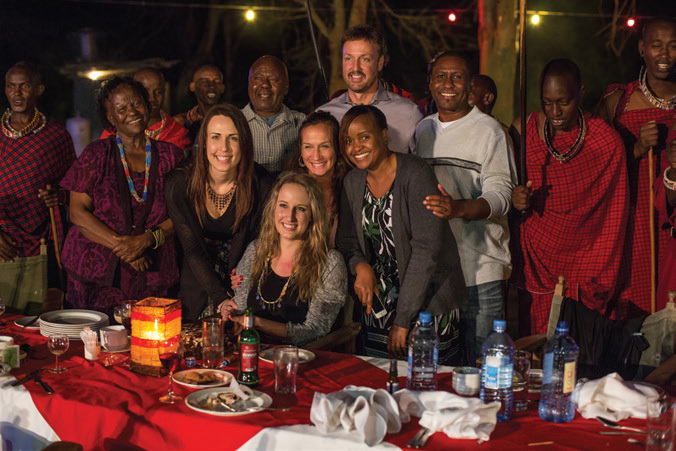 Alyssa, Miranda, Tammie and Jeff Broin meet with Mission Greenhouse partners in Kenya. Broin’s true driving passion in life is to change the world through the sun, seed and soil for future generations. He holds a degree in Agricultural Business from the University of Wisconsin and is a husband of over 27 years to his wife, Tammie, and father to three children — Alyssa, Miranda and Austin. Jeff and Tammie Broin with their children Austin, Alyssa and Miranda Broin, along with Nancy and Lowell Broin.